Sensuality and plasticity are combined in Milano to form a sinuous, sculptural unit that synthesizes the desire for formal experimentation. 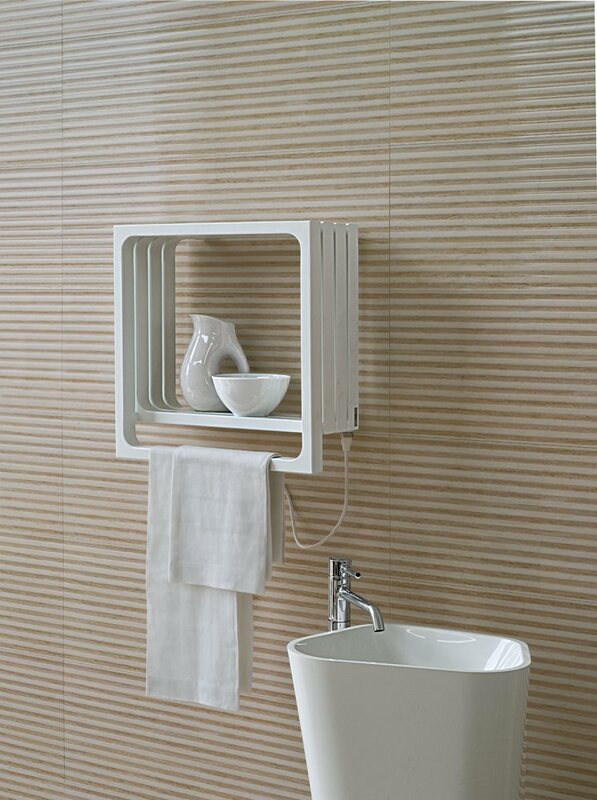 Milano can be installed on walls or free standing on the floor. Thanks to a special support base, the free-standing version enables you to create solutions that provide a great visual effect. It is made of painted steel 13×26 cm (HxL) modular elements, and is available in water and electric versions.